Tom Javits joined the Metropolitan Art Museum in 2009 as the new Vice President for Construction and Facilities. He has 30 years experience with high-rise residential and commercial development projects with Zeckendorf Realty, Boston Properties and other firms. Before joining the museum, he was Senior Vice President of Avalon Bay Communities, Inc. and was responsible for development projects within New York City. He has particular expertise in sustainability and green technology. Tom holds a BS degree from the University of California Berkeley and an MBA from Harvard University. Jonathan Katz is the founder and CEO of Cinnabar, Inc., a design-build production and fabrication company located in Los Angeles, California. Founded in 1982, Cinnabar provides a complete range of in-house design-build, project management, and production services for television and films, retail stores, museums, themed attractions and events. Cinnabar is a licensed General Contractor and has completed projects across the United States. Recent work includes the Kimball Natural History Museum in the main hall of the California Academy of Sciences in San Francisco. As Executive Producer of the Academy project, Cinnabar was responsible for assembling the team to conceptualize, design and install the central exhibits in this highly regarded new LEED museum. After studying theater and economics Jonathan became involved in the alternative energy and sustainable farming movements and joined then-Governor Jerry Brown’s Office of Alternative Technologies. His early interest in sustainable design foreshadowed what is on people’s minds today and continues to be reflected in his current work at Cinnabar. Stephanie Pincetl is an urban planner and is the Director of the Center for Sustainable Urban Systems at the UCLA Institute of the Environment. She analyzes natural resource uses and environmental policies and is currently working with the National Science Foundation on urban ecology and water management in LA and with the California Energy Commission to develop ways of understanding how our communities use energy. Her book, Transforming California, the Political History of Land Use in the State, is the definitive work on land use politics and policies of California. Dr. Pincetl has a PhD in Urban Planning and teaches at UCLA and in the International Masters of Public Affairs at the Institut de Sciences Politiques in Paris. 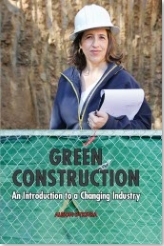 She worked 10 years in the nonprofit environmental justice sector. After receiving a physics degree from the University of California at Berkeley, Larry returned to his real love: working as a general building and electrical contractor. He is the Founder and President of Solstice Enterprises, in the San Francisco Bay Area, a business with multiple divisions – including Solstice Construction, Solstice Energy, and Solstice Solar – which operate within the areas of contracting and real estate development. General and electrical contracting projects range from home audio/video, lighting, telecommunications and home control technologies to complete residential remodels and new construction. Senior Project Superintendent, Wright Contracting, Inc.
Scott has been a licensed general contractor since 1977 with almost 40 years experience in project management and supervision. For 15 years, he was the principal in his own construction firm; his work ranged from public works to commercial and residential projects. For 8 years Scott contracted his management expertise as a consultant to other general contractors before joining Wright Contracting Inc., in 1995 as a senior project superintendent. His work with Wright, a family-run company founded in 1953, includes several multi-million dollar projects as well as major structures for Santa Rosa Junior College valued at more than $100 million in construction costs. Bryan J. Varner is a California attorney with more than 27 years of experience. His practice is concentrated in construction law and includes mediation and arbitration services. He is a LEED™ Accredited Professional and past president of the Redwood Empire Chapter of the Construction Specifications Institute. He is a Certified Construction Contract Administrator. 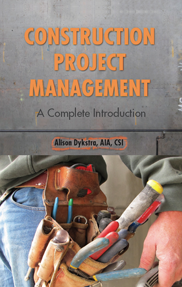 In addition to his legal practice, Bryan is the Program Coordinator for the Construction Management Certificate Program at Sonoma State University which provides training for contractors, subcontractors, project managers, superintendents, owner representatives, design professionals and others. Jerry Yudelson is one of the nation’s foremost experts in sustainable development and design. He is the Founder and President of Yudelson Associates, based in Tucson, that offers green building consulting services, corporate and institutional sustainability planning, water management and policy consulting, LEED training and contract research services. He is the author of 12 books on green buildings, water conservation, green homes and green development, including 2010’s Dry Run: Preventing the Next Urban Water Crisis and Greening Existing Buildings. For five years he chaired the U.S. Green Building Council’s annual conference, Greenbuild, the industry’s largest. Jerry is a registered professional engineer with more than 25 years’ experience; he holds engineering degrees from Caltech and Harvard University and an MBA from the University of Oregon.